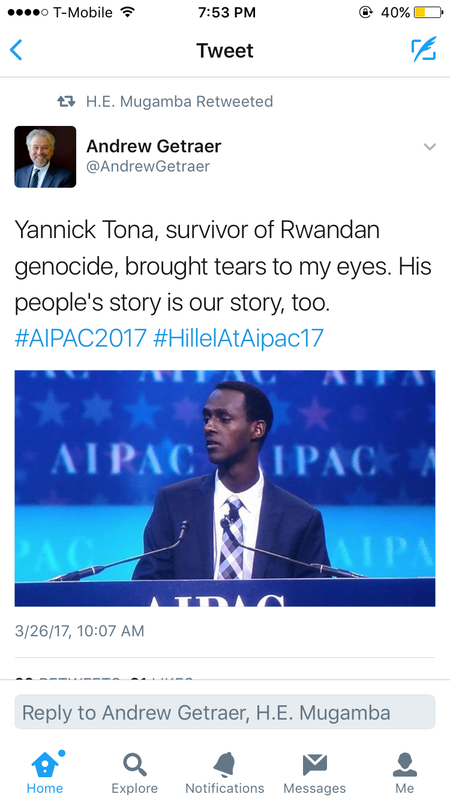 As a descendant of Tutsi massacre victims, here is why it bothers me to see AIPAC lobbyists use our stories as props this year. I want to draw your attention to the words “ensure US military aid to Israel”. Now, according to the Foreign Assistance website, this aid is estimated to tally up to $3 billion for FY 2017. Which makes Israel the United States’ biggest recipient in terms of military assistance. This aid mostly helps Israel establish defense in any area that is and has been predominantly hostile to the state since its inception in 1947. As years went by, Israeli military gradually expanded Israel’s territory by taking over designated (in 1947) Palestinian land creating a major exodus of Palestinians to neighboring countries and around the world. Today, things have not improved much and as more and more “settlers” are moving into the west bank, Palestinians are being kicked off their land. As some of you might have caught on in the preceding narrative, there are multiple systems of oppression but I want to draw your attention to two, which I think are most relevant to us Burundians and Rwandans: colonialism and ethnics. Remember that time when the Germans first came in and then the Belgians, exiled our kings sometimes, disrupted our tranquil kingdoms and took some of our land to build their homes, roads and hospitals (which they will arguably claim was beneficial to us — when they left)? Well, settlers are kicking the local Palestinians and taking over their land. See any similarities yet? In Rwanda-Urundi, colonialism was all in the name of bringing civilization to our “savage” and “backwards” ancestors. But ultimately all colonialism did was leave us more divided on ethnic lines than we ever were thanks to a system where one ethnic group, mostly Tutsis, were elevated and more privileged over the remaining two. In 1920, the Belgians introduced the national ID card in Rwanda and one of the sections of this ID held the ethnic identity of Rwandans. This ID was used through 1994 in Rwanda, at which point it became a matter of life and death. The year before — in October 1993 — across the Kanyaru river in Burundi, Melchior Ndadaye — a Hutu refugee who spent time exiled in Rwanda — becomes Burundi’s first democratically elected president. A few months into his presidency, he is deposed in a coup and assassinated by a group of high-ranked Tutsi officers in the military. This set off not only the decade-long civil war Burundi stepped in but also triggered massacres of Tutsis in rural pockets of Burundi. While there are continuing negotiations and talks between Israel, Palestinians and different middle eastern factions, Palestinians have been scarred with almost half a century of bombings, raids and other atrocities. Much like Tutsis in 1994 Rwanda. The Palestinian West Bank territory continues to be occupied by Israeli settlers kicking out the locals. 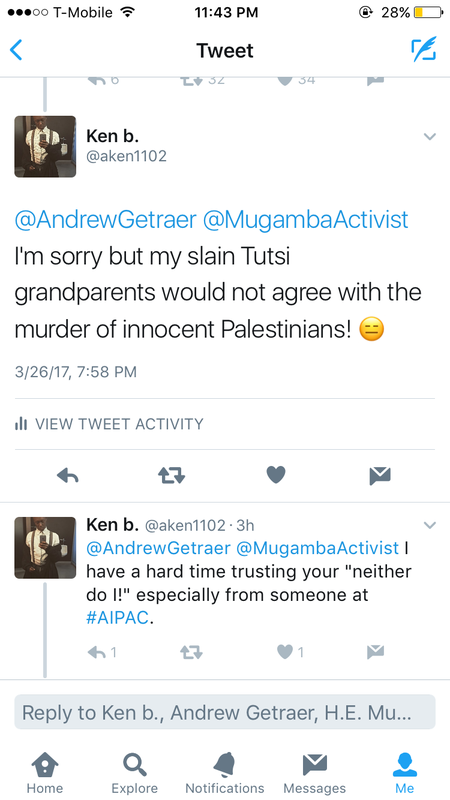 Out of respect for my grandparents’ memory, I will not condone the oppression and obliteration of the Palestinian population. Instead, I demand that the AIPAC stop using stories like my grandparents’ for their own profit. Just your everyday queer nerdy-but-not-your-nerdy African geeking out over tech, racial justice, queerness and the intersections thereof.